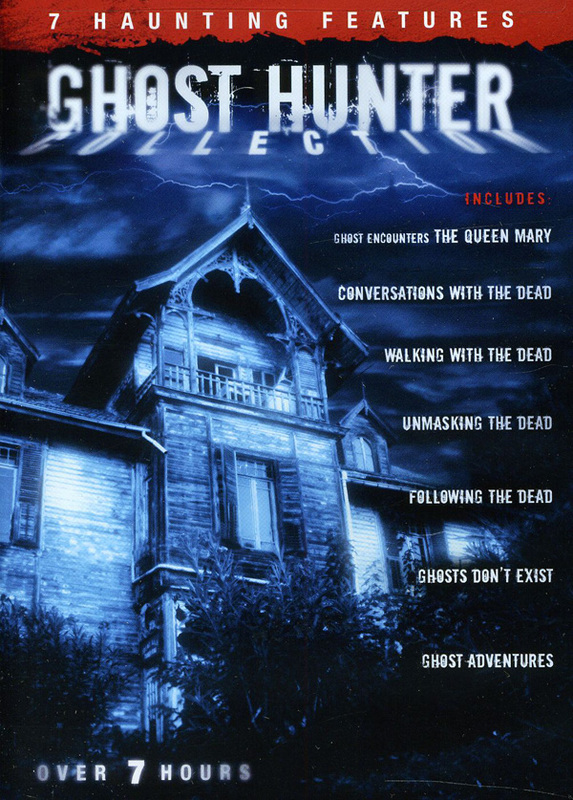 Ghost Hunters Collection – A Must Have! A two disc collection of rare and unusual documentaries including a special episode from GHOST ADVENTURES. This is a must have for any paranormal fanatic and the seven episodes will not disspoint. Zak Bagans and Nick Groff are padlocked in America’s scariest places overnight to capture the creepiest footage ever caught on tape. Ghosts Don’t Exist A nearly-retired ghost hunter, Brett Wilson, takes on the most bizarre—and personal—case of his career when he investigates a claim involving his deceased wife. Join in on an eerie exploration of the Queen Mary, an ocean liner thought to be home to 600 active ghosts. Ghost Stories: Walking with the Dead examines some of the most haunted places in the state of Indiana. Ghost Stories: Following the Dead spotlights the life of legendary serial killer, H.H. Holmes by tracing his footsteps and his eerie past. Witness paranormal activity first hand including footage from Witches Castle, Benton County Jail, Fowler City Theater and Drena’s Bar and Grill. Michael Jones, the real-life inspiration for The Sixth Sense, shares his insight on experiencing the paranormal.